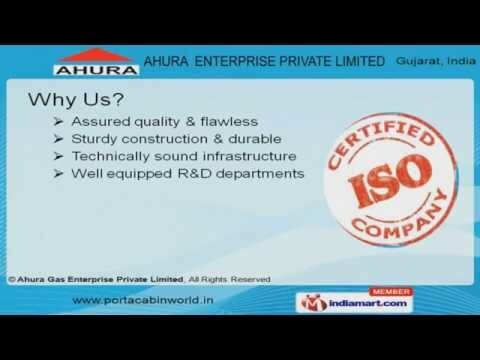 Welcome to Ahura Gas Enterprise Private LimitedManufacturer & Exporter of Prefabricated Portable StructuresWe are an ISO certified company, established in 1984 at Vadodara. We cater to Aditya Birla Group, L&T& Samsung across East Africa & Indian Subcontinent. Sturdy construction, technically sound infrastructure & well equipped R&D department are some of theplus point of our organization. We are engaged in offering Laboratories Blocks & School Cabins. Our Bunk Houses are fabricated using premium grade raw materials. Office Bunkhouse are some of our best selling products. We are specialized in manufacturing Prefabricated Building. Along with that we offer Portable Cabins that are a class apart. Our FRP Porta cabins are widely acclaimed in the industry.